ALS is robbing me of my speaking voice. For me, the onset of this damned progressive disease was with my speech: I started to have trouble enunciating words clearly. (That’s how ALS starts in about 1/3 of people with the disease.) I’m now in a situation where it is most often very hard for me to project my voice beyond a whisper. 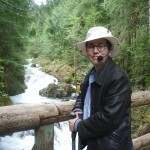 Followers of this blog know that some time ago I began using a voice amplifier (See: “There Goes That Person With . . .”). That doesn’t help so much now. But, fortunately, there are other technologies. Many people with many different kinds of disabilities have known for a long time that technology makes continuing to be — and engage — in the world a possibility. For folks who have trouble talking, one form the technology takes is programs that convert text to speech. I use a program called NeoKate, a free app for the iPad. I type in the text, tap on “done” and then Kate “says” what I typed. Kate’s English is pretty good, but she does have problems with some words, such as proper names and words that might have multiple pronunciations, like “read.” So, occasionally, after Kate attempts to pronounce what I’ve typed, I have to retype using phonetic spellings to get the words spoken correctly. The program allows me to adjust Kate’s speed (so I can make her sound like a native New Yorker if I want to), her pitch, and her volume. And if I want to save something I typed so I can have Kate speak it again later, there’s a library where I can save files, with names I choose so I can find the files again later. In two-way conversations, using Kate to communicate slows things down a bit, since it always takes longer to type than to speak. It means there are longer pauses than there would be if two humans were talking to each other directly (without text-to-voice assistance). But it also means, at least so far in my experience, that people pay close attention to what Kate is saying for me, and it makes me listen more carefully to what’s being said to me. In conversations involving more than two people, Kate and I have a tougher time. You may have noticed that conversations often go off on tangents, rather than following a straight line. You may also have noticed that sometimes people talk over each other — one person starts to say something before someone else finishes. When you add Kate to this mix, her part of the conversation can become quite disjointed. By the time I’ve finished typing a response to something someone said, the conversation may well have taken 3 other turns. When Kate says what I’ve typed, people have to stop to remember what the topic was that prompted the comment, and get drawn back to a part of the conversation they thought was finished. The delay has real impact on conversations. In a way, there is more continuity, in a disjointed way, than non-technologically driven chats. Makes me think about those old ads from the brokerage firm EF Hutton: When Kate, talk, people listen. Can We Banter with Technology? The m.o. for much conversation in my circles is banter: a statement is made, someone responds with a quip, and someone else answers the quip with another quip or statement or story. I love to banter, but my speaking ability won’t let me do that anymore, and Kate’s ability is limited by the time it takes for me to tell her what to say. extreme, but we might all listen to each other better if we did something like this. On the other hand, we might all get so involved in typing our own stuff that we won’t listen to other peoples’. Given how ALS progresses, at some point (hopefully in the far distant future), it will become harder for me type fast, or at all. Then, assuming (as I do) that I will continue to want to communicate, I will use technology that allows me to type by moving my eyes over characters on the computer screen. This process will inevitably be slower than the NeoKate method. The concept of “super slo-mo” will take on a whole new dimension. And the ability of other people to listen in this mode might be sorely tested. So, how I communicate in conversation with others – both how we talk and how well we listen – will be a growing issue for me. If it’s an issue for me, it’s an issue for everyone with whom I come in contact, and everyone else who is in the place of losing their speaking voices. You may have noticed that this blog post is less about health policy – my usual topic — and more about social behavior. How we talk to each other affects how we hear each other, no matter what our limitations are or may become. This entry was posted in ALS Treatment, Illness and tagged banter, Christopher Hitchens, conversation, iPad, Neo Kate. Bookmark the permalink. Thank you, as always, BB, for your insight and wisdom. This one struck very close to the heart because your voice has always been one that I want to listen carefully to. I remember the first time I heard you argue — at a national ACLU biennial — that the First Amendment did not cover sexual harassment at the workplace. Funny, powerful, witty, adamant, and probably firmly based in the law. I told you then that I’d follow your lead anywhere! Your voice is such an important one, and it is really helpful to your friends to hear your reflections on how your conversations change because of your diminishing capacity to speak aloud. I am thankful for Kate, and for Healthy Barbs, and for all the technology that keeps your voice alive in our conversations. Slowing down and listening more carefully can be very valuable, I can see that. I’ll always be thankful for your words and thoughts, no matter how they are delivered into the world. Very important and moving post. Thank you Barbara. Damn this disease. Sometimes silent gaps in a conversation feel awkward, like people have run out of things to say to eachother… or don’t care enough to keep the conversation going. Helpful to be reminded that the instinct to keep the conversation going is destructive not generous in some circumstances. And the Christopher Hitchens piece is a worthwhile supplement. 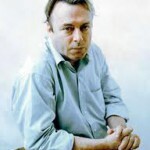 Christopher Hitchens’ piece is elegant, earthy, and solely his voice. A depth which few go to in order to explain themselves. Your voice is clear and poignant. I will always listen. Conversation nowadays is not built on “give and take”, or “speaking and then listening”. You have made a huge point here, and I am so grateful for that. We often feel we can complete another’s thoughts or sentences (these can be different intents); we are often too impatient, and do not listen for what really was said, but what we want to hear or hope we heard. Your keen and monumental voice basically tells us to be sure all conversation is HEARD and UNDERSTOOD before we reply. Thank you, Barbara! As always, you teach us all so much, Barbara. I so wish that you and Susie could both be in Boston for our 40th anniversary symposium at Boston University this coming Oct 1, but I will feel your presence nonetheless. This blog is such a good way to share your wisdom with others, and I am glad you are finding ways to extend your abilities to communicate. I need a “Kate” who speaks German. I bet I could have acquired one for this trip, I don’t know at what expense. I can translate text at will on more than one website. Having the computer speak the translation just requires speech software. Reminds me of what happens when I’m speaking Spanish. Okay on a one-to one, or at a meeting, but at a party, let’s say, where people are interrupting, making jokes, and lots of idioms, talking at the same time, I can get lost. My having to reprocess, many times, from English to Spanish and back again seems Katish. Maybe that could be your name for what you do, i.e. I’m speaking in Katish. Thinking of you, your Katish, your spirit, makes me happy and proud to know you. 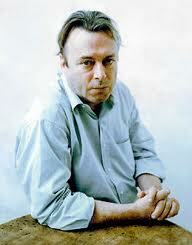 And I enjoyed the Hitchens too. Long may you both speak. well the good thing is I am use to in personal communications a slower pace….so I will just think you are become a tribal person….or would have thought that…. Thank you very much for your very important thoughts on listening. Listening well is an art. Thank you for the reminder to listen thoughtfully and mindfully. Your words are deeply appreciated. You and C.H. are trying to explain things that the rest of us have no personal precedents or reference points for. And both of you are so smart and so eloquent on that point. Nevertheless, I keep casting my mind back to something in my own past experience that could offer me insight. In imagining the kinds of conversations you have now, I think about the flow of conversations under Roberts Rules of Order, when everyone has to wait to be recognized in order to speak (e.g., when the floor is open to discussion on a proposal that’s on the table). And often, by the time I’m finally recognized by the chair, whatever comment or amendment I had to offer is relevant to a point that someone else made five minutes ago. Which is to say, it’s now irrelevant. But if I’d only been able to make the point I wanted to make a few minutes earlier, the stream of conversation might have gone in another direction! Under Robert’s Rules, the value of what I had to say is a function of timing–not just the merits of its content. The difference, of course, is that, with ALS, you are the only one being compelled to follow Robert’s Rule while everyone else has the floor at will. Likewise, in formal debates: one has to sit in silence while all kinds of assailable nonsense comes out of the mouth of one’s opponents (read: gas industry representatives). But the enforced silence comes with the knowledge that I still have one minute of rebuttal time coming. And, the rules apply equally to Dr. Evil over at the other podium. Or when talking before an international audience when one’s remarks are simultaneously translated and everyone is wearing headphones and the laughs and nods come with a 10 second delay: To compensate, one has to slow down and stick to the script, avoiding idioms and irony and double negatives and qualifying clauses that could be misunderstood. So one ends up saying simpler things, losing nuance. And maybe thinking simpler thoughts? But the scene from my own life that feels closest to yours, Barbara, is when I traveled alone to east Africa in 1986 and found myself (naively) traveling with a group of guerrilla fighters who were using an aid organization as a front for military activities. (I didn’t figure this out until I was deep in the bush with them.) They spoke in their own language when they didn’t want me to understand what they were planning. More frustrating, though, were the conversations we had in English: almost no one could understand me because of my American accent. (They had learned British English.) To be unable to make myself understood in my own native language–especially when everyone else was speaking my language very badly and yet had no trouble understanding each other– was worse than listening to a language I didn’t understand. In fact, it made me feel crazy. And kind of stupid. My translator, himself a partisan, was not always linguistically trustworthy. I always suspected I was being gamed. But I was young then, and my body worked at my command and I was five years out of my cancer diagnosis and eager to leave behind I.V. drips and medical images and go live dangerously. (Hey, malaria and dysentery are really different than tumors! Worrying about land mines: an entirely different sort of emotion than dread of bladder cancer recurrence! Much sexier!) And it was not a permanent situation. So, really, this is nothing like what you are experiencing. Except that I think I get the part about how one’s actual voice (and, ergo, the ability to be understood and insert oneself into the ongoing discussion) is a big part of human agency. I am thinking hard, Barbara, about everything you’ve offered us here. I have an indelible memory of the sound, the cadence, the tone and resonance of your voice, Barbara. That will never go away. There’s a certain formality in waiting for words to which we’ve grown unaccustomed. In some of the gatherings I am a part of we use a talking stick which we pass around to whomever wishes to speak. There’s a beauty in waiting upon the words of another, and a patience that grows with truly listening. The first time we met was Passover, 1979 — a memorable, quip laden seder. Humor and banter are harder, it’s true, but if there’s anyone who can pull it off, I trust that it’s you. yours is a voice i have heard for almost 57 years. Barb, like the comments of others, your voice still resonates with me regardless of your current level of audible speech. It is cruelly ironic that you, so articulate for so long, have acquired a condition that has attacked your speech. But hurray for your resourcefulness. And, let me say, hurray for the Ipad and assistive technology in general. Because my 22 yo daughter has never spoken, we have been through myriad of devices that were bigger, clumsier, and less effective not to mention much more expensive ( and only available by prescription, through speech pathologist etc). Iphones and Ipads ( and cell phones in general) have opened up assistive technology for persons with disabilities in ways unimagined only a few years ago. Isn’t it great that devices used everyday by virtually anyone are also devices that are effective for persons with differing abilities! Another step in the direction of inclusion. Thanks Barbara, for giving voice to those who struggle to communicate. Further, though this blog may not be about “health policy,” but it certainly does seem to be about “healthy” policy. Barbara, I have sat with you across your kitchen table and awaited Kate’s translation of your thoughts. The extra time and space between communications was very relaxing for me. It both required and created a kind of patience that I long for and enjoy when it comes. 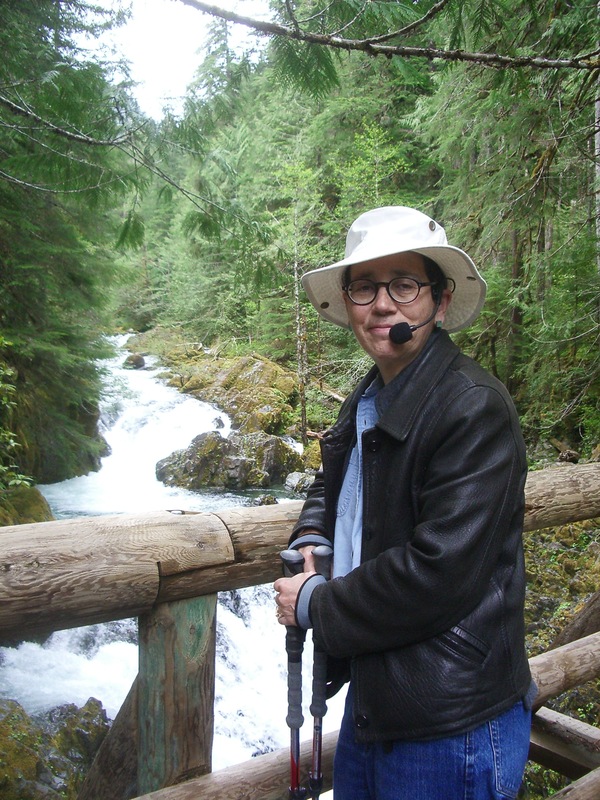 I also had a memory arise when reading the blog: I was with a group of people on a medicine journey some months back, which was lead by a very kind Peruvian healer who spoke only Spanish. The morning after our time together, we sat in a circle to share our experiences. Another man just as sweet, and skilled in both Spanish and English, was our “Kate”. He carefully translated both the words and the dispositions of the teacher to us, and of each of ours’ to the teacher. As he listened and worked to carefully translate for each of us, long periods of time passed. The feeling inside me created by that spaciousness was incredible. I can liken it what happens in my body/psyche when I breathe in the first scent of Jasmine blooming on a cool night. A pervasive sense of calm settled over the room. If you had asked me in advance whether I could patiently endure that kind of lapse, I would’ve doubted my capacity. Now I yearn for it. All this is to say, “Welcome Kate.” I happily await your next translations. Barbara, I am to see you tomorrow morning, and I just read this post. It is a beautiful piece of writing, and there is little in this world I admire more. If ALS and Kate are playing a role in what you write about and how you do it, then difficult as it must be for you, the rest of us are benefitting enormously. I am looking forward to seeing you and “talking” with you very much. I think having to communicate in a one-on-one situation through writing is a fascinating prospect and one from which I will gain a great deal. So I reluctantly join the chorus (reluctant because I am so suspicious of most choruses I hear in this world), but I, too, sing your praises. Keep writing! Thank you for your great blog posts. 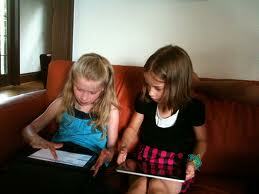 Have you tried Verbally iPad app to communicate? It was created for an aunt who lost her voice to ALS. There’s a free and premium version that you may like a bit better. Everyday I struggle to give voice to a person with ALS. I have learned to spell words not normally in my vocabulary while smiling with her as she tests my vocabulary. I understand the place one goes to sit with the letters as they arrive and then the joy to understand as they letters bundle to tell me something.